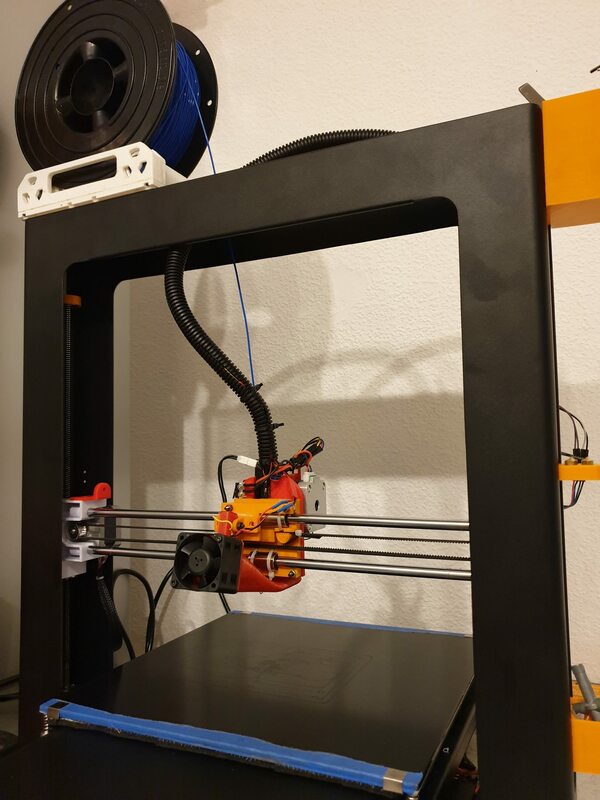 since I like tinkering and upgrading at least as much as printing, I am trying to upgrade ( and therefore hopefully improve) my A5. The touch mount is for a different hotend but I cut/grinded some stuff away drilled a new hole and now it fits. - marlin knows the relative position of the bed leveling probe to the nozzle and the relative position of the bed to 0/0 (which actually will be -X/0) so it should calculate proper probing points, but how do I make sure the nozzle does not hit the metal clamps securing my bed? - I am still unsure if the 24V/12V fan solution I divised will work. - My pancake extruder motor is probably made for 12 V, will it run to hot on 24V? - If so can I simply move 2 pins on my TCMs to the top and connect a 12V power supply? - will my dirt cheap chinese clones produce any print quality at all? The edits are scattered over the files, use Ctrl F to search for every line. #define Z_ENDSTOP_SERVO_NR 0 // Defaults to SERVO 0 connector. #define X_MIN_POS 0 // thanks DaHai. #define X_CURRENT 750 // rms current in mA. Multiply by 1.41 for peak current. Wow, following! I'm linking this to the wiki as a "work in progress", looks very exciting! 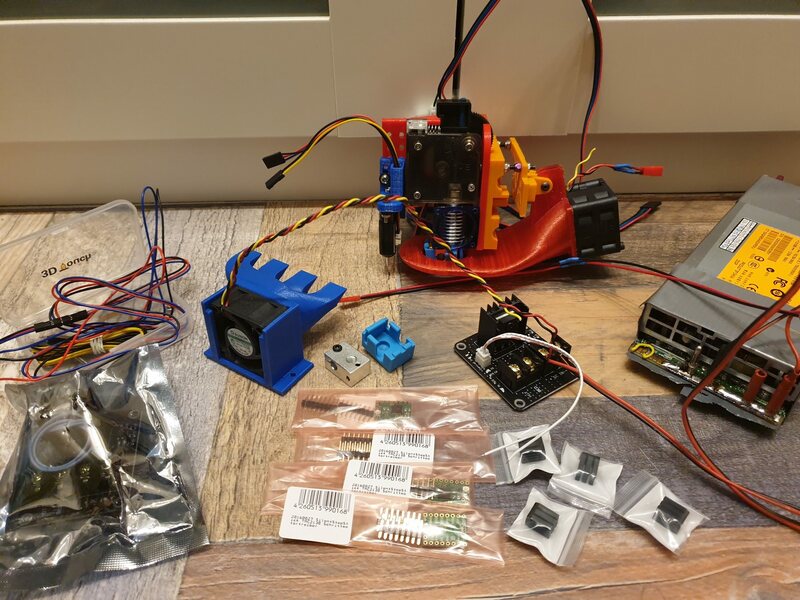 For the hotend, most parts chinese clones work well. But chinese are not all the same. I tested some different ones. Best quality were AliExpress/Trianglelabs. Trianglelabs honestly say, all metal is not so good printing PLA, due to the friction PLA has to bare metal. 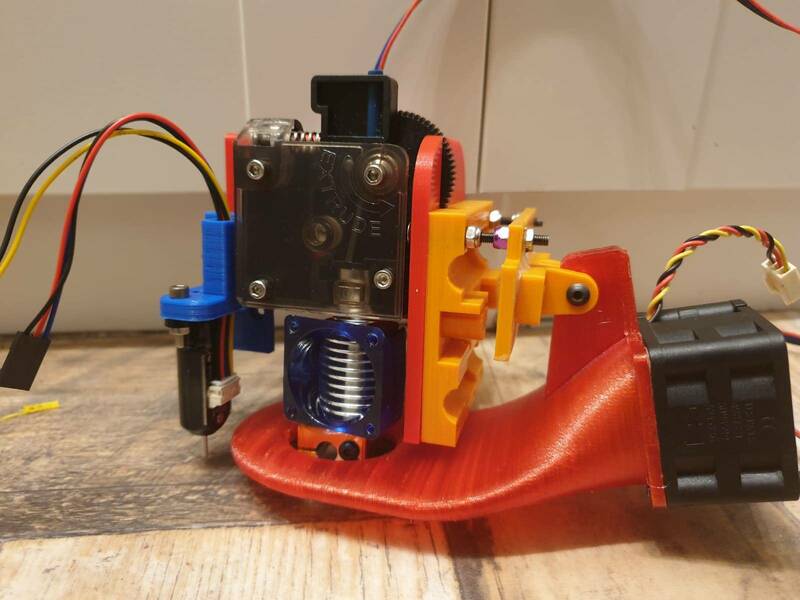 So If you want high temperatures but also PLA, you should get an microswiss heatbreak for v6. It has an special coating inside, so you have even less friction than ptfe but alows at least 300°C. Its even better than original e3d heatbreak. 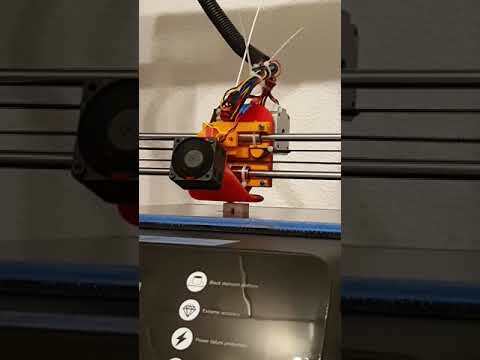 With e3d heatbreak I sometimes got clogging with PLA in my Prusa i3 mk3. With microswiss this problem was solved. Also the coating protects against abrasive filament. So while you can use coldend, heaterblock, heating cadrige, thermistor and nozzle from China, I strictly recomend a microswiss heatbreak. You may consider to use a (cloned) volcano heatblock. 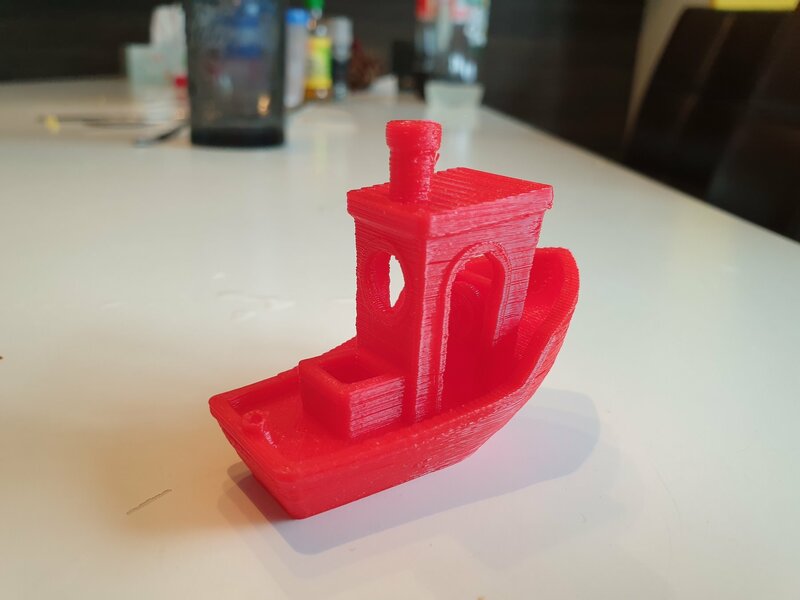 As the JGAurora A5 is a big sized printer, you may try bigger nozzle diameter like 0.6 or even 0.8, an volcano is highly recommend to melt the plastic fast enough for these diameters. From china you can get a cloned volcano made from Cooper, which has better heat conductivity than the normal used aluminium. For the nozzle it depends if you want to print abrasives. Microswiss for abrasives is a good idea. If you print a lot and dont change diameter anyway, you may also use a Olsson Ruby. But thats quite expensive (so I did that only on my mk3). Recommendation: use standard nozzle first and maybe change to microswiss when printing abrasives. I personaly prefer Bondtech instead of Titan. From China a cloned Bondtech BMG (in AliExpress its caled "Dual Drive BMG") costs about 32$. 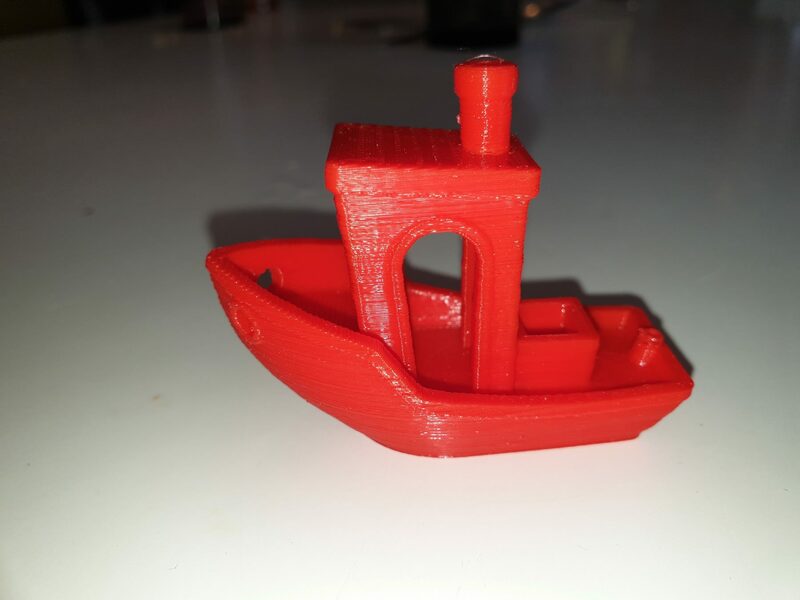 Make sure you buy from trianglelabs; the cheaper fystec has definitvly an other cut in the gears (seems like the ones for 3mm Filament). Thanks @Andre you are most helpful. I ordered my current clone heartbreak in all metal and ptfe versions, but I will check microswiss for my next project. Most of the mentioned problems are solved. The stepper motor never sees anything close to 12V so its completely irrelevant if I go with 12V or 24V, the stepper drivers take care of that. So it is nearly done. I quickly setup Bilinear Bed Leveling, took my old PLA profile and only cut retraction to 2mm and reduced the additional re-retraction to 0. If you are using the blue cable that came with it switch to a different like cable. The blue cable that is shipped with it is faulty. I didn't know this until much later. I have been printing from the USB stick with no problems. Also it helps with power out function. 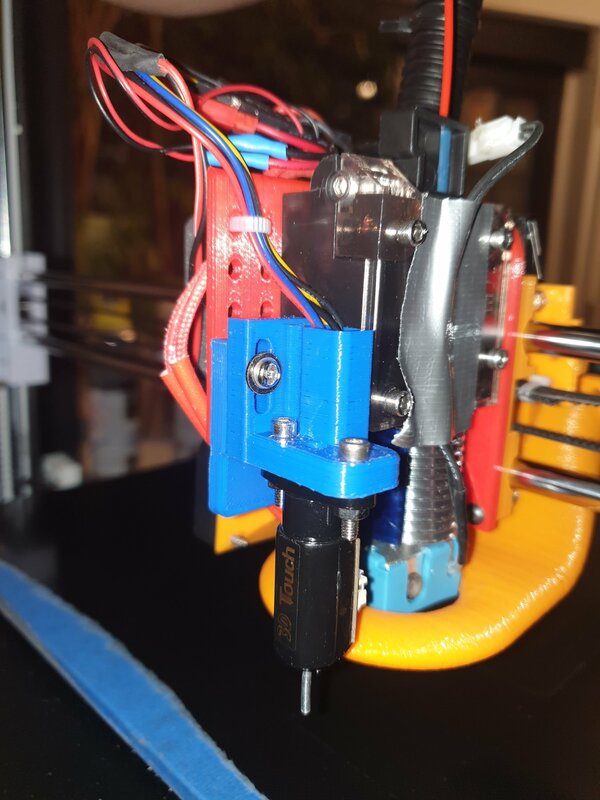 At X600 and Y800 I get layer shifting problems, but at Y900 the Motor has 63C on the outside after a simple 40min calicat... 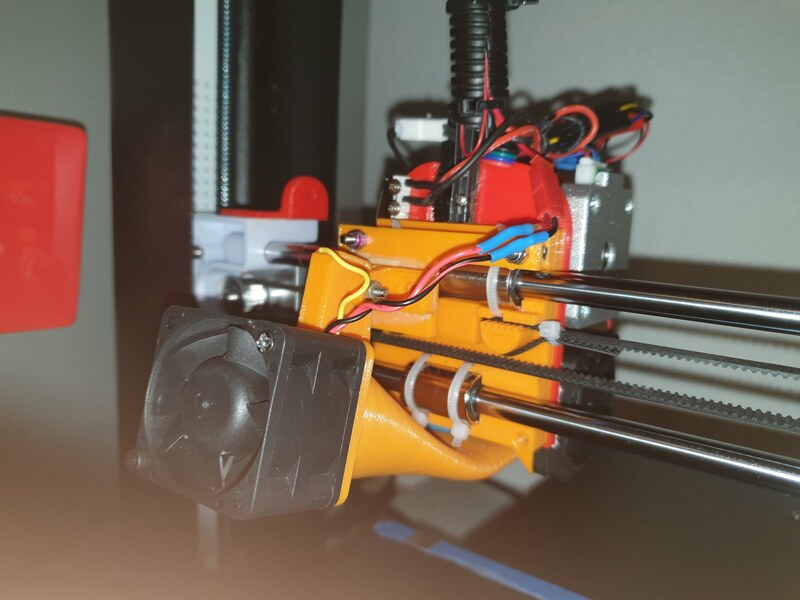 I am currently printing a Nema 17 Fan Holder and I will install that later today. The surface of my prints is less smooth than with my original A5 config, the layers are much more visible equally in X and Y direction ... still working on that and any hints are welcome. 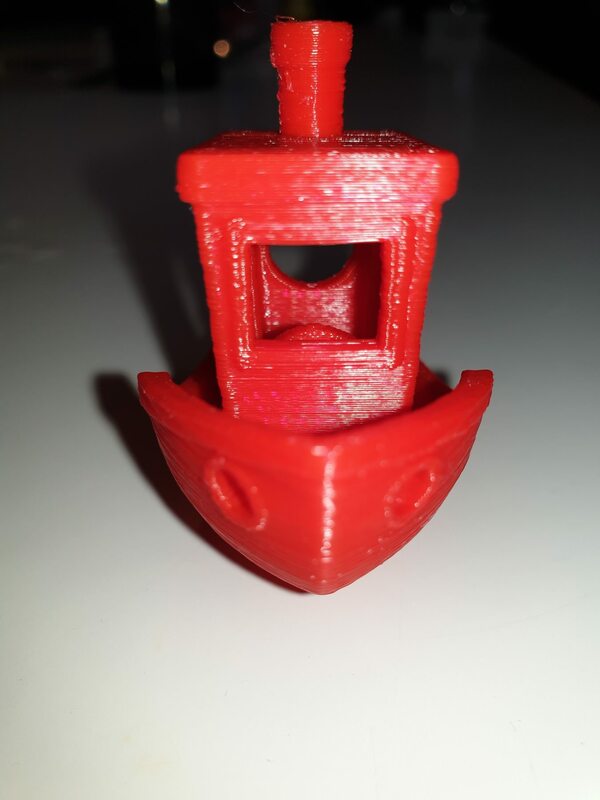 All other aspects of printing are improved, so overhangs, bridging, speed, noise and bed leveling are much improved over the original A5 setup. I think the bed springs are a source of wobble. You can add spacers to help preload the springs more. Or, you can replace the bed springs with solid nylon (or printed) spacers if suitable length. Also, I don’t think cable ties are sufficient for holding the x axis. Plus, there may be some wobble on the x bearings too. Thanks, I definitely plan to replace the bed springs, so far I only added some washers. The x bearings seem fine and I am not a AutoCad professional so I dont really know how to improve this part of my build. I am totally unhappy with my TMC2130s. I cannot print anything above PETG because the cooling of my clone V5 is not sufficient, i would need 30mm x 30mm x 20-30mm fans that are 24V and rather powerful... does anyone know of some? and replace my clone V5... just to see how it works. I checked the X gantry and I dont think the cable ties contribute to any wobble in a meaningfull way, if something wobbles its the 8mm X and Z rods that get slightly bent when I shake the assembly, but I can do nothing about that. The second Titan clone I ordered for spare parts has arrived, and it is of much better quality then the BIQU Titan, so I will replace the whole thing along with the V5 clone. I think not only the rods are a problem, the whole upper frame is to flexible. Maybe to flexible with the rods to use a direct drive, yes. I add on my A5 extra 2mm steel angles on the side, now its better as before with the frame. 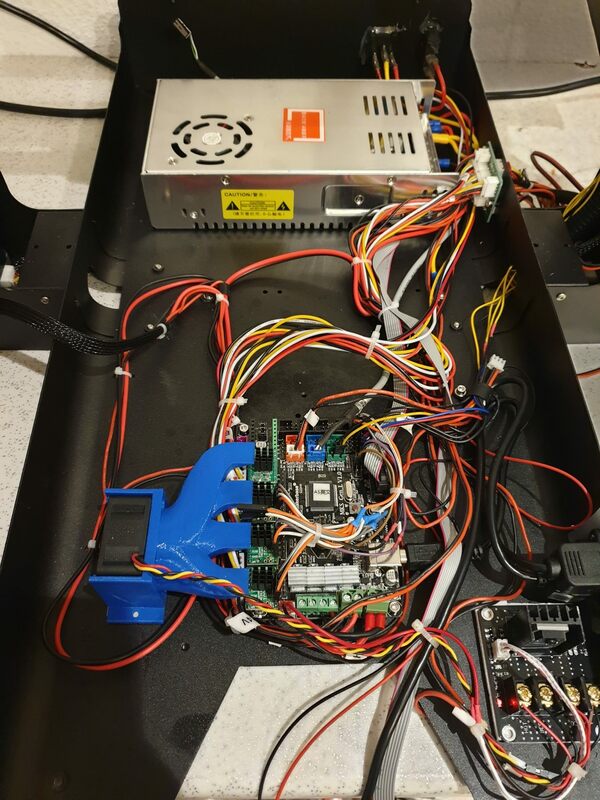 Change the original stepper motor belts to. They are too flexible. 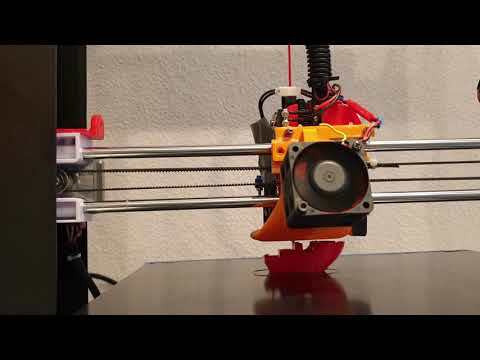 In our company we have a 15000 euro 3D dual printer and it has a bowden feed. 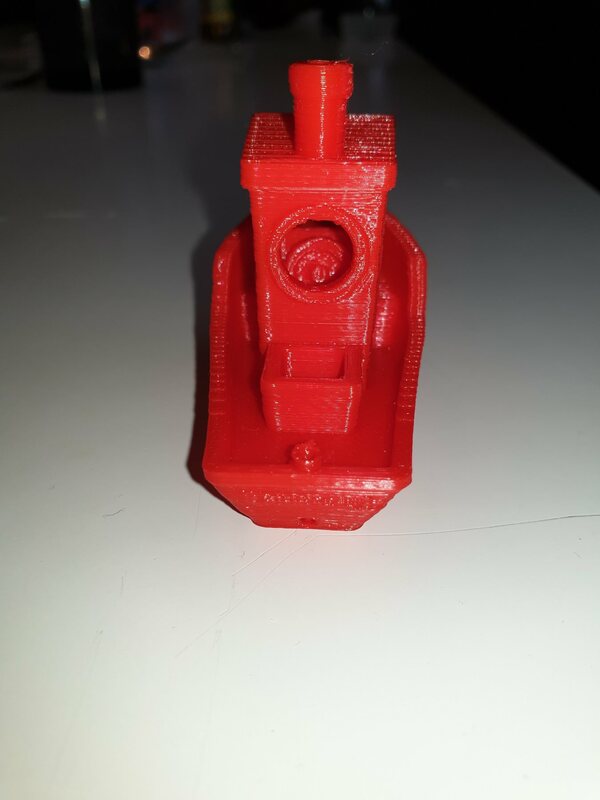 A direct drive is not the solution of a good print. As i read other forums, direct drive users change to bowden feed, thats funny hehe. I think for myself its the best to make moving parts as light as it get and reduce the length and the diameter of the bowden tube. When you want to go the other way, you must make the frame, rods and the bed more stabil but I dont think thats rational and easy. Yes a light V5 or V6 would be great but in combination with a bowden as i think. On the other hand, wouldnt it end in the same as the JG A5 head now is? So when you have a problem next to the tuning work, you must go back to solve the problem first before tuning and working on that. 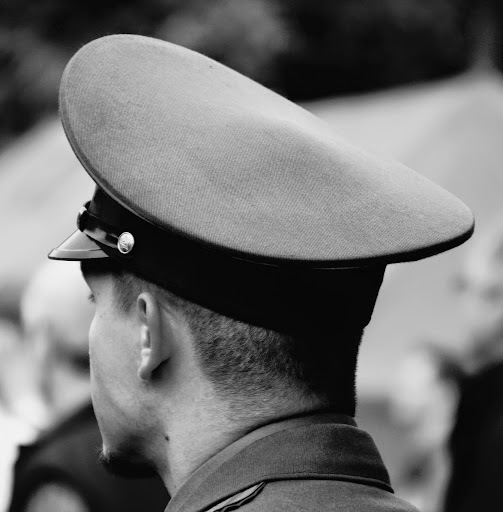 Otherwise it will make more and more work to get to an end. Yes I think a short bowden ist the optimal setup. 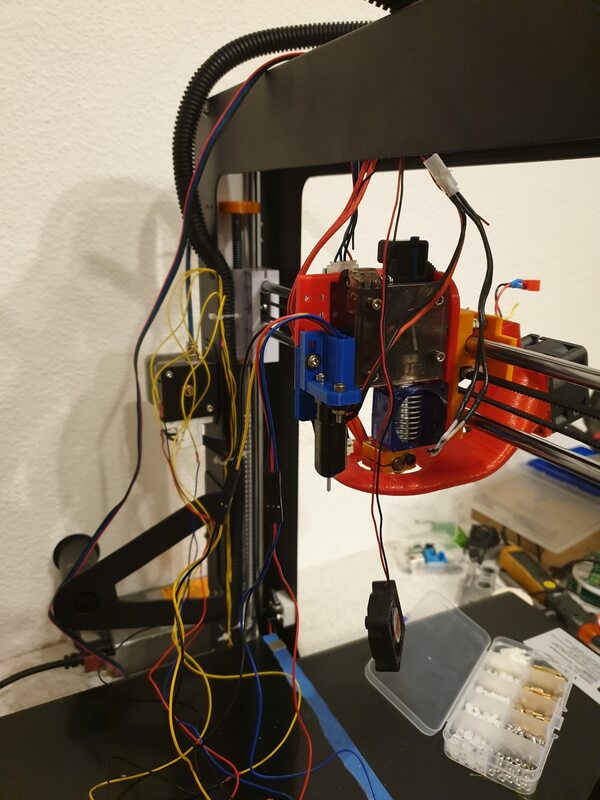 The extruder should be where the X Axis motor is. But I do not think thats a practical mod for the A5. If I shake the extruder all the movement I see is beding the rods, of cause there are other culprits but the thin rods seem to bee the biggest problem. I will continue to mod this until I can print the parts for my hypercube evolution, preferably in nylon. Isnt the bed mount self the problem? I tryed to change the springs but went back to the original because the bed mount is to flexible. The springs are ok. The rods are a problem with more weight, yes, thats true. Thats what I thought too, but I can do something about the springs and they are more or less useless with automatic bed leveling. So here are pictures of the final assembly. Problem 2: I mixed PVA glue with water and coatet the bed with it, but the print curled up after a few layers. Solution 2: Next time I use more PVA Glue and I will print at 80C bed instead of 70C. Problem 3: There was an audible *click* *click* from the nozzle, so my fresh vacuum sealed Nylon CX12 must be wet. Problem 4: The Mesh for the heated bet is at least 0.25mm different in some places at 70C then it was at 50C. 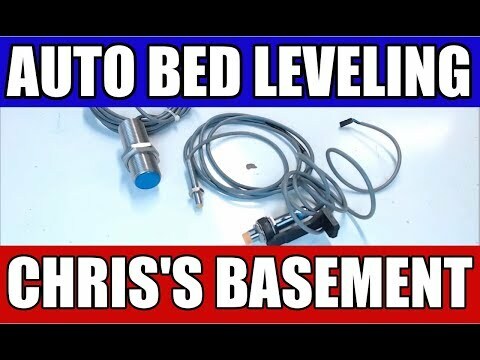 Solution 4 : Redo the Auto Bed leveling. I now ditched the silicone sock and packed the heating block in cotton and kapton tape. - redo the PID Tuning, but is that not useless because once filament flows through the block the necessary PIDs will be completely different? 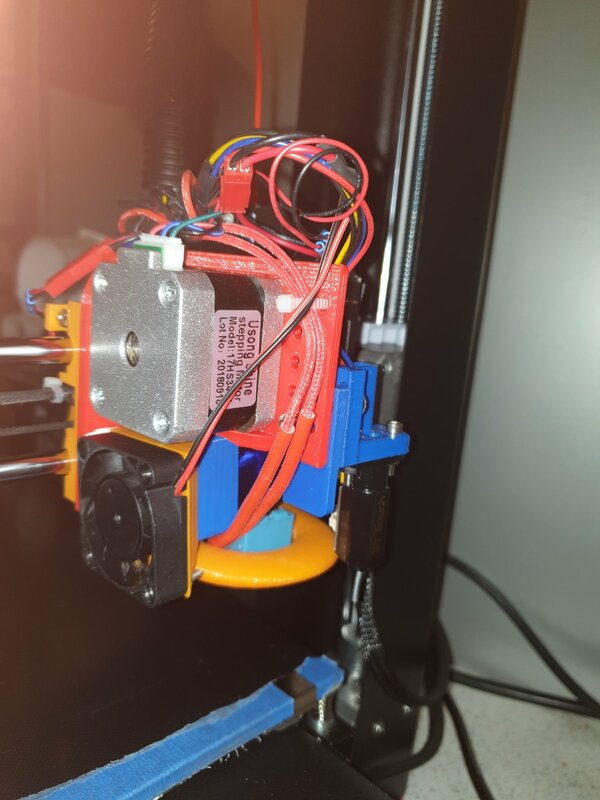 I inserted a list of all printed parts and the firmware edits in the second post. It was temperaterure fluctuations in the hotend! This is my insulated heating block, 2 layers of cotton on top and bottom, 1 layer on the sides. 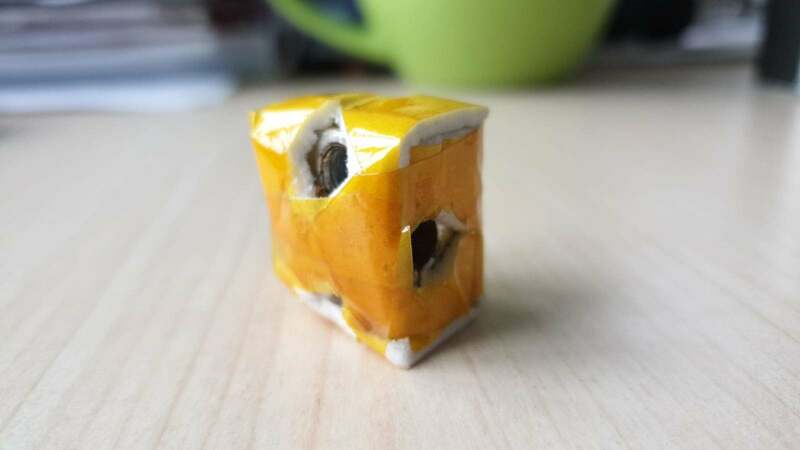 and kapton tape to hold it together. Plus 5 holes of course^^ to attach all the stuff. May look ugly but extremely effective!